HÀ NỘI — Logivan, a Vietnamese platform that connects truckers with shipping companies, has successfully secured US$5.5 million from venture capital firm Alpha JWC and two angel investors, including Founding Managing Partner at Matrix Partners China David Su. Indonesia-based Alpha JWC has strengths in fintech and consumption, and has prestige in the US and China. It targets companies with strong growth and potential to expand to new markets in the future. Logivan said the newly raised funds would be used to invest in data analysis and integration to improve the effectiveness of its supply chain and bring the best experience to customers. The company would apply artificial intelligence in clarifying documents, meeting user demands and providing more accurate forecasts on orders. In addition, it would continue to develop technology to connect trucks and calculate transport costs. Established in September 2017, Logivan’s central platform tracks the location of freights and trucks, helping to optimise truck routes and reduce their empty load return rates. 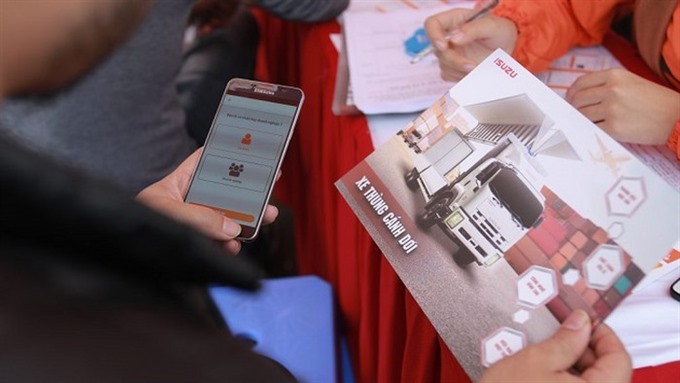 Logivan’s CEO Linh Phạm said other logistics applications on the market such as Ahamove and Grab Express usually focus on last mile delivery – the final step in the supply chain. Meanwhile, Logivan concentrates on the first and middle steps in the delivery supply chain. It is a business to business (B2B) model. He said the goods transport by road market in Việt Nam was worth around $9 billion in 2017, with a transport volume of one billion tonnes. There were more than one million trucks participating in the market, with an average growth rate of 9.5 per cent a year. The high growth rate makes road shipping a tempting potential market for start-up companies, he said. This is the third funding round for Logivan, which has raised $7.9 million in total so far. It last raised $1.75 million from Ethos Partners, Vina Capital Ventures and Insignia Ventures Partners in August 2018.